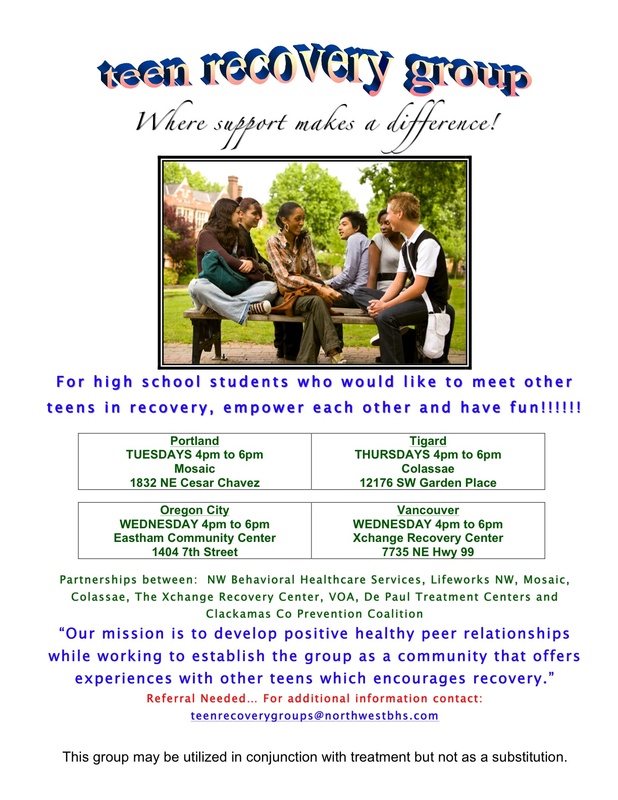 On Wednesdays from 4-6pm at Eastham Community School in Oregon City — high school students are meeting up with other teens in recovery, learning, and empowering each other. Referral is needed — for additional information contact teenrecoverygroups@northwestbhs.com. Congratulations to DECA’s State Conference Winners! Landon Martinez and Jon Reece provided invaluable support to the Oregon City Together Coalition with their meticulously designed research study on alcohol and drug use in Ogden and Gardiner Middle Schools. Congratulations on placing 5th at this year’s State Career Development Conference! Read about Landon & Jon’s placement AND OC’s 2nd place Community Service Project here. The Creative Marketing Project is a chapter project that develops in chapter members an analytical and creative approach to the marketing process, actively engages chapter members in the marketing activities of their community, and provides an opportunity for experienced executives to guide and assist in preparing emerging leaders and entrepreneurs in marketing, finance, hospitality and management. The project should be a research study in the marketing field, planned, conducted and reported by a DECA chapter, the use of which will measurably improve the marketing activities of an individual company, a group of companies (such as a shopping mall), an organization, a club or the business community. All chapter members are encouraged to participate. Such a project might concern itself with finding new markets for local products, promoting the community’s resources, increasing the trading area of facilities, increasing sales, increasing employment, providing better shopping facilities, solving problems or challenges affecting the marketing process, etc. Their project involved Ogden and Gardiner Middle schools and gathering information about student use of drugs, alcohol and tobacco. Their survey, will assist Oregon City School District in their efforts to make people aware of the effects of these substances on students. http://www.octogether.org/wp-content/uploads/2015/03/logo-banner.png 0 0 OC Together http://www.octogether.org/wp-content/uploads/2015/03/logo-banner.png OC Together2012-03-05 14:31:562015-05-27 23:36:40Congratulations to DECA's State Conference Winners! 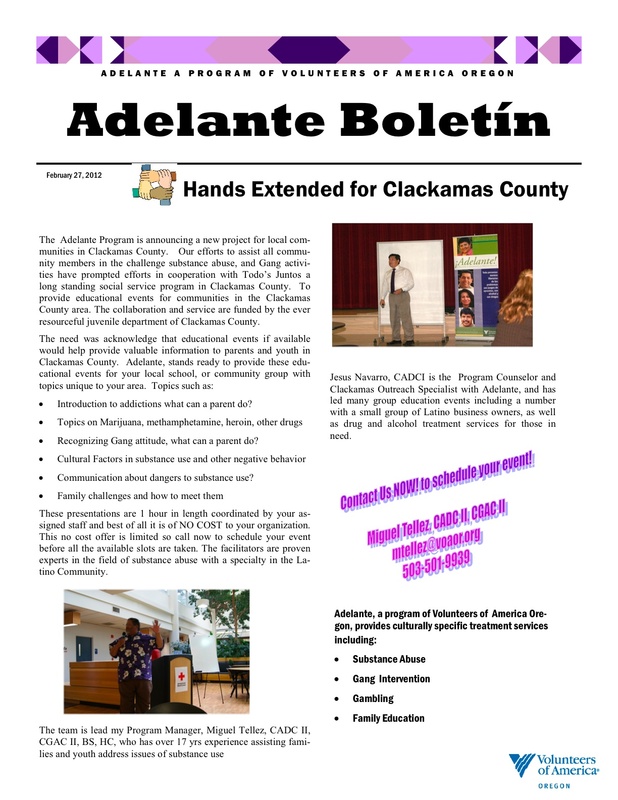 Learn more at Adelante’s website.